Engage your audience from start-to-finish! If you want your message to resonate with listeners and move them to action, you must craft an effective presentation. 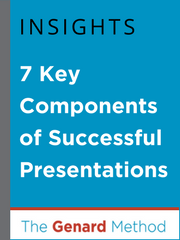 Cover these essential elements and be prepared for success when you take center stage! Add this handy guide to your speaker's tool box today.